Those of you who have been around for awhile may remember the Foodie Penpal program. Basically, it’s like the pen pal thing you did when you were a kid. But for adults. Who like food. As adults it seems that it is far too infrequently we do something just because. No reason other than because it is fun and we want to. Well, the Foodie Penpal program is one of those things for me. Fun. Just because. One of my favourite parts of participating is getting to put together a package to send. This month I sent a parcel to Roberta on the other side of the country in Coception Bay Newfoundland. Sadly at time of writing it still hasn’t reached her (I knew I should have paid extra for the express service). Come on Canada Post, it’s a big country but please, please, don’t let Roberta down! My penpal Vicki however was a little closer to home. Like close enough she probably could have dropped it off faster than mailing it close. Which, given my feelings towards the mail service right now probably would have been a good thing. Seriously, I couldn’t believe it when I saw the return address. We are practically neighbours. What a coincidence! Vicki sent a great barbeque theme parcel. Incredibly generous and well thought out. There were great local gifts made by a friend of hers in Chilliwack (a town about an hour or so from Vancouver) that included a beautiful tea mix and a spice mix that has already been used twice. There was some nice and spicy piri piri sauce and bag of pasta that is a brand I’ve never tried before. Yum! You would think that would be all but no. 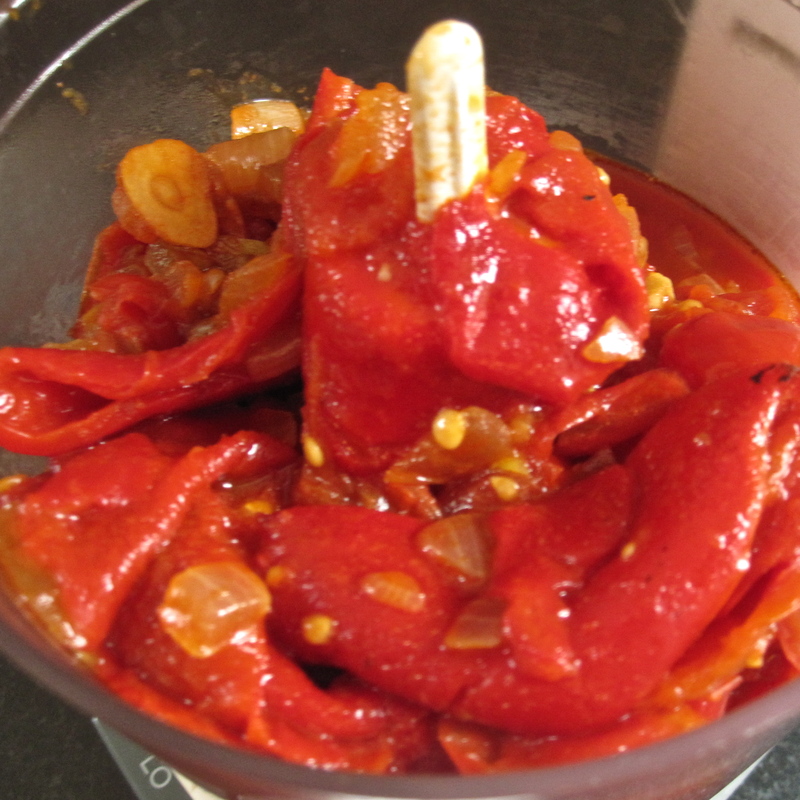 Vicki also included a recipe for Salsa de pimientos de piquillo (Piquillo Pepper Sauce) from the incredible (but not yet in my library….) cookbook My Basque Cuisine by Ash Mair. She didn’t just include the recipe though, she also included the ingredients to prepare it. Some smoky Picadillo peppers soaked in oil and some incredibly pungent smoked paprika. I lasted about two days before I broke down and made the sauce. The smell and taste was like nothing I’ve had before. I have always wanted to travel to Spain and the taste of the sauce transported me there temporarily. In just a week I’ve used the sauce on barbequed chicken, over eggs for breakfast and tossed with grilled vegetables. Absolutely heavenly. A new standard in my kitchen and further inspiration to plan a trip to Spain. First register on line (see the button in the sidebar). On the 5th of every month, you will receive your penpal pairing via email. It’s your responsibility to contact your penpal and get their mailing address and any other information you might need (allergies, dietary restrictions etc.) You then have until the 15th of the month to put your box of goodies in the mail. On the last day of the month, if you are a blogger, tweeter or facebooker you post about the goodies you received from your penpal. The easiest thing is that the parcel can be filled with any sort of fun food, local food or homemade treats. The spending limit is $15. The box must also include something written (a note explaining what’s in the box, a fun recipe, a poem – use your imagination!). As an aside, for ease of mailing people are paired with people from the same country, so no worries about crazy mailing costs. 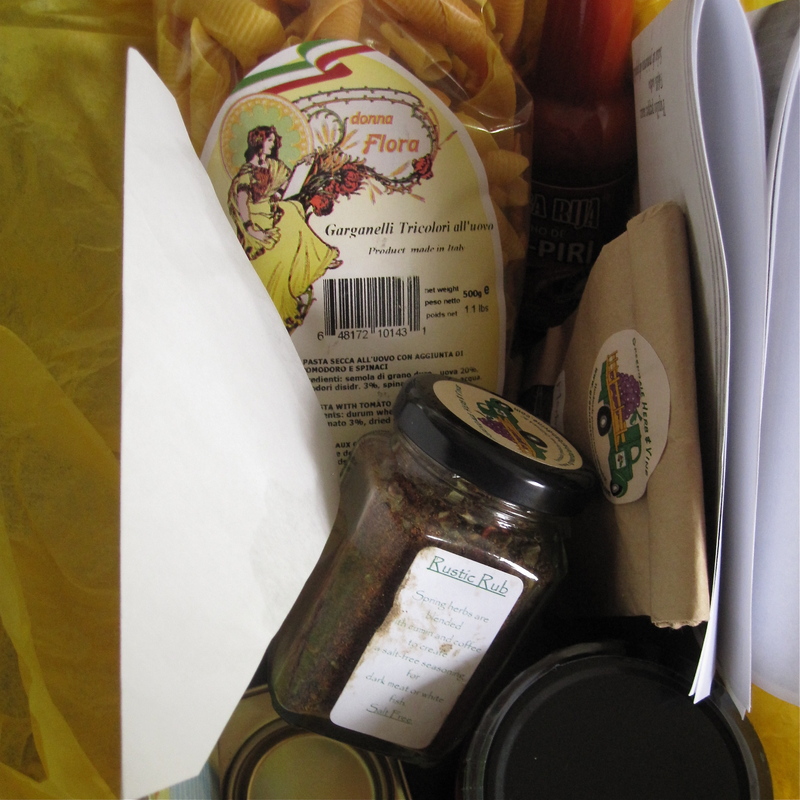 This entry was posted in Food, Foodie Pen Pal, Friends and tagged Basque, cookbook, gifts, hot sauce, paprika, pasta, penpals, piquillo, spices by mostlynoodles. Bookmark the permalink.